A long list of legendary musicians and groups have come out of Boston area, including Aerosmith, The Pixies, James Taylor, The Cars and of course the group actually called Boston. Chair moshing to the Dropkick Murphys while waiting to find out why your garbage hasn’t been picked may sound like fun, but enduring even a minute of any New Kids on the Block would be enough to make me hang up. This week The City of Boston’s Department of Innovation and Technology announced that it’s crowdsourcing original music from the local music community to create a new “Transfer Music Playlist” to take the place of the “same old boring tunes” that callers hear while they are on-hold to City Hall. 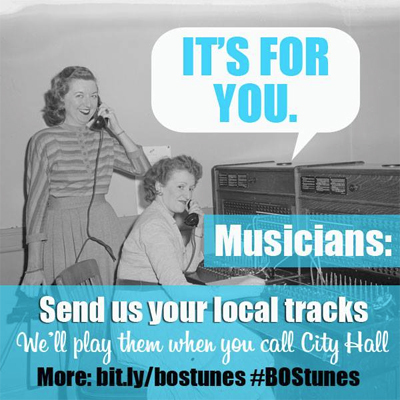 Musicians can submit their tracks by tweeting their Bandcamp, Soundcloud or other streaming links with the hashtag #BOStunes to @DoITBoston or posting a link to the City of Boston Facebook page. 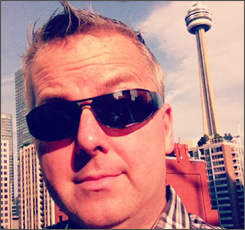 A comment noted that Edmonton has created EdmonTunes, a similar program developed in partnership with CKUA Radio Network and the Edmonton Arts Council. Here are a few examples of submissions so far.